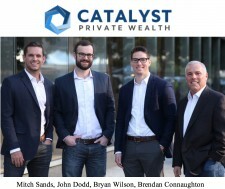 SAN FRANCISCO, January 8, 2018	(Newswire.com) - ​The founders of Catalyst Private Wealth have announced the launch of their financial advisory firm, focused on holistic wealth management for entrepreneurial innovators and leaders. The Catalyst team brings a fresh perspective and best practices from decades of experience to provide clients with sophisticated wealth planning strategies and solutions. “Our mission is to deliver truly comprehensive wealth management solutions with a customized approach that addresses where our clients are in the liquidity and startup cycle,” said Brendan Connaughton, Managing Director of Catalyst. Connaughton is a respected leader in the wealth and investment management industry, having spent 25 years in senior-level positions at firms such as Blackrock, HSBC Private Bank, Deutsche Bank Private Wealth, and Wells Fargo. 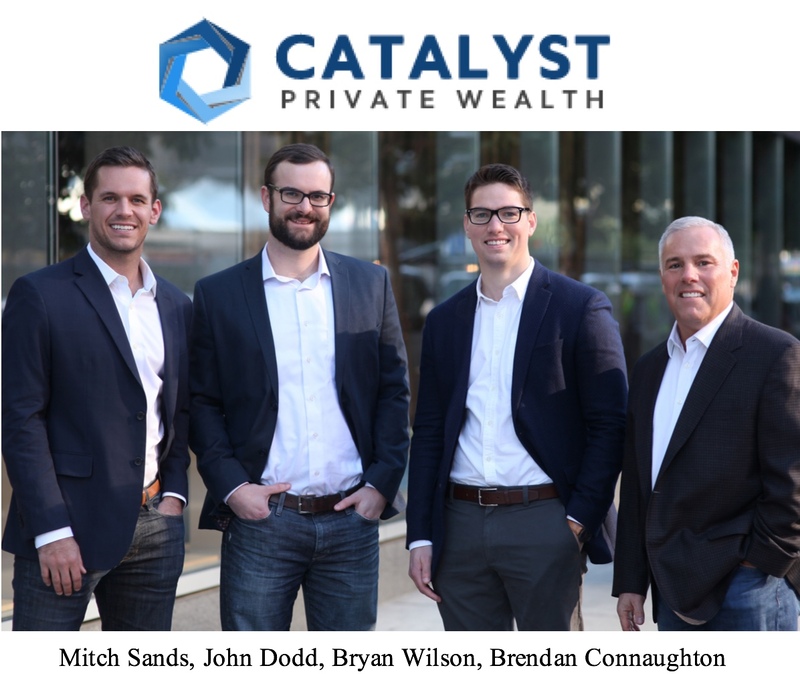 Alongside Connaughton, the Catalyst co-founders include John Dodd (Chief Investment Officer), Mitch Sands and Bryan Wilson (Wealth Advisors). All three have extensive industry experience with a focus on wealth management, stock option planning, secondary markets, and investment management. Two of the Catalyst founders are millennials, which is unusual for wealth management firms – the average age of a financial advisor in the United States is over 50. This dynamic has created a refined approach that resonates well with Silicon Valley elites, some of whom are millennials themselves. Client needs are changing and wealth management as a whole is facing a level of disruption as the finance world further integrates with technology. Catalyst intends to evolve alongside the changing landscape, bringing a fresh perspective and platform to best service clients. Catalyst has partnered with Mutual Advisors, LLC and Mutual Securities, Inc. The Mutual companies have a 35-year history of supporting wealth management firms. This allows Catalyst to focus solely on their client needs, services, and solutions. Catalyst Private Wealth was formed to solve the unique wealth management needs of innovators and business leaders. Catalyst is located at 101 Montgomery Street in San Francisco. For more information visit www.catalystprivatewealth.com or contact info@catalystprivatewealth.com. Investment advisory services offered through Mutual Advisors, LLC DBA Catalyst Private Wealth, an SEC- registered investment adviser. Securities offered through Mutual Securities, Inc., member FINRA/SIPC. Mutual Securities, Inc. and Mutual Advisors, LLC are affiliated companies.